Mono Lake with Sierra Nevada in the Background. Geoff McQuilkin likes to think of California’s Mono Lake as the Great Salt Lake’s sister. Both lakes have no outlet, growing salty as minerals accumulate. Both serve as important stopovers for millions of migrating birds, who depend on the brine shrimp and flies that thrive in their salty environments. Both have shrunk considerably from human water consumption, and both have human protectors looking to save them. Mono Lake covers around 70 square miles, compared to the Great Salt Lake’s 1,700 square miles. The Great Salt Lake is 33 feet at its deepest point, while Mono Lake can be as deep as 150 feet. Today, Mono Lake sits 40 feet lower with half the volume than it would have naturally. Its decline is a result of diversions on the lake’s freshwater tributary streams. Those diversions pipe water 350 miles south down an aqueduct to Los Angeles. But the situation at Mono Lake could’ve been much worse. “Continual vigilance and persistence is our motto,” said McQuilkin, who’s executive director of the Mono Lake Committee. That group that formed back in 1978 to keep the City of Los Angeles from sucking Mono Lake dry. Their decades-long fight also brought a shift in thinking about water conservation. Salty lakes are declining and disappearing throughout the world, especially in the arid West. 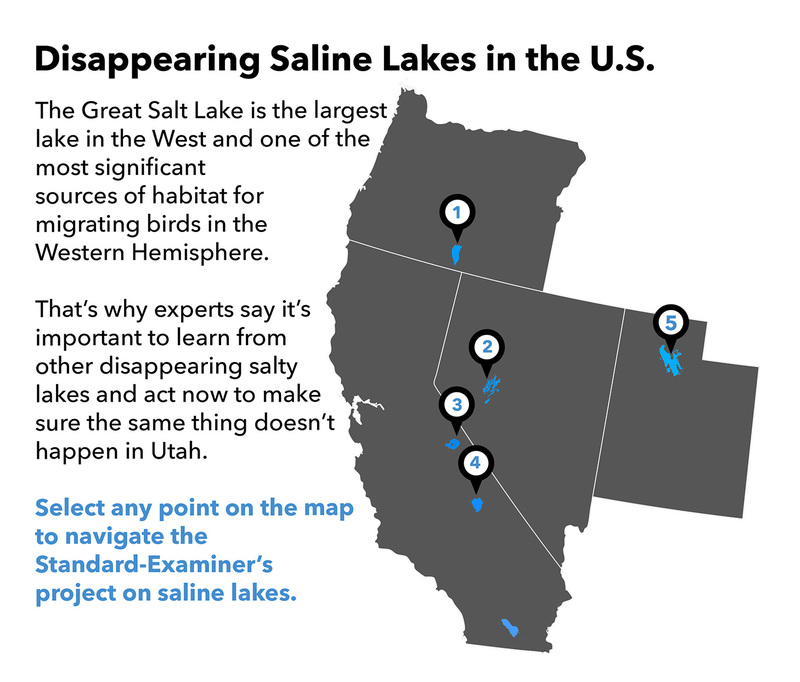 The Standard-Examiner is surveying four of these Western saline systems to learn what lessons they could hold for the Great Salt Lake. Mono Lake, on the eastern edge of the Great Basin, is one of the few salty lake success stories. It has secured protection from future decline, but it also shows that the consequences of human meddling can take decades to mend. The City of Los Angeles first began diverting water from the Mono Lake basin in 1941. 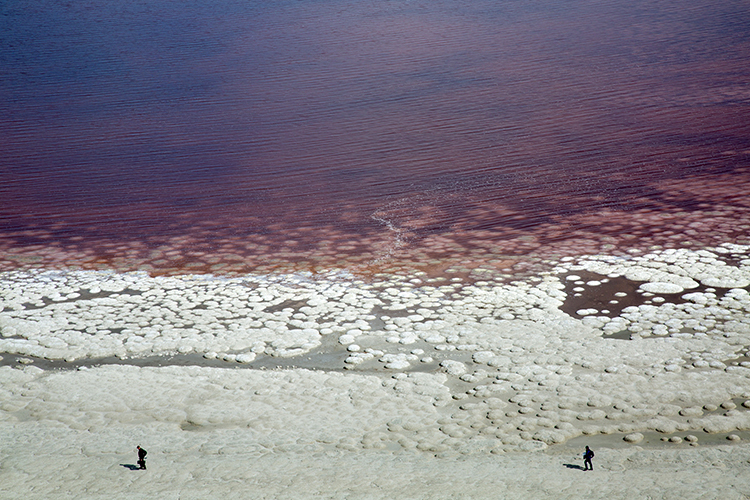 With less water in the lake, salt concentrated. Brine shrimp stagnated, too small to be a food food resources for birds. Islands that were important nesting sites developed land bridges. Predators intruded. Those who cared about Mono Lake’s salty water, elegant tuftas towers and unique birds looked a couple hours south to Owens Lake. That lake had dried to a puddle for the same reasons and by the same water consumers. It was too salty for brine shrimp, too salty for birds and one of the biggest sources of particulate pollution in the nation. The Mono Lake Committee lobbied the City of Los Angeles and lawmakers while reaching out to schools and conservations groups. Their fight lasted nearly 30 years. In 1982, Mono Lake bottomed out at an elevation of 6,372 feet, compared to 6,410 in 1950. By 1989, the committee documented a loss of 100 acres of wetland and meadow habitat at the lake. Finally, in 1994, the California State Water Resources Control Board stepped in and set minimum flows for Mono Lake’s tributary streams and mandated its elevation had to rise to 6,392 feet. It was a big victory and advocates of another salty lake 400 miles away took note. The same year the state of California ordered L.A. to replenish Mono Lake, FRIENDS of the Great Salt Lake formed with a similar mission to the Mono Lake Committee. FRIENDS has spent two decades hosting forums on Great Salt Lake issues, introducing hundreds of school children to its ecosystem, organizing volunteer efforts and, occasionally, litigating for its protection. Since FRIENDS’ formation, state officials have taken a greater interest in the Great Salt Lake’s health. The Utah Legislature formed a Great Salt Lake Advisory Council of industry and environmental stakeholders in 2010. In 2013, the council commissioned an study that found the lake contriubtes $1.3 billion to the state economy. But the Great Salt Lake still faces a similar fate to other salty systems in the West, like Mono Lake. Research by Utah State University, the Utah Division of Water Resources and others found the Great Salt Lake has dropped 11 feet over the last 150 years because of diversions on its tributary rivers and streams. Mitigating the fallout from an over-allocated system can take decades. As part of the Mono Lake settlement,the City of Los Angeles could only divert 16,000 acre-feet to meet its needs — half of the water it techinically has right to. It’s been 20 years since the settlement, and Mono Lake still hasn’t reached its mandated minimum level. “We’re still trying to recover from that period, decades ago, where they took everything,” McQuilkin said. California’s recent spell of intense drought took a toll both on the City of Los Angeles and Mono Lake. Still, Mono Lake has a minimum elevation rule. Most salty lakes don’t have that protection, including the Great Salt Lake. “We have a Great Salt Lake level matrix that looks at dififernet levels and how uses, ecological and economical values drop out at certain elevations, but we haven’t agreed upon ‘x,’” de Freitas said. Last summer, the Great Salt Lake Advisory Council recognized the long-term toll human diversions were taking on the lake. They commissioned a study on how to keep it at its current level or increase its volume. The study didn’t endorse any of its 66-identified strategies over another. Some are pricey, like replacing the aging pipes and water infrastructure in each county upstream. Some seem obvious, like funding better scientific studies or getting the plethora of state agencies to coordinate their many management roles that impact the lake. Some are unrealistic, like covering portions of the lake with solar panels or reflective plastic to slow evaporation. Some of the strategies, however, echo what happened at Mono Lake. The Legislature could mandate a minimum elevation for the Great Salt Lake and stream flows for its tributaries. The study also suggests reducing lawn turf and creating incentives for households to converty showerheads, toilets and washing machines to water-efficient models. Los Angeles City took similar initiatives, which helped the city’s department of Water and Power export half the amount of water from the Mono Lake and Owens Lake basins. Attitudes about L.A.’s role in those watersheds have shifted over time, too. Yannotta is in charge of the Los Angeles Aqueduct, which diverts water from lakes in the Sierra Mountains, but he also helped develop the city’s urban water management plan. The Los Angeles Times reported L.A.’s 4 million residents used 131 gallons of water per person per day (including commercial use) in 2015, compared to 189 gallons in 1969. Utah’s 3 million residents, by contrast, use 167 gallons per day according to the latest U.S. Geological Survey figures. That’s the second-highest water consumption rate in the nation. Yannotta said Los Angelinos’ consumption has since dropped to 103 gallons per person, bucking the notion that a growing city needs more water. 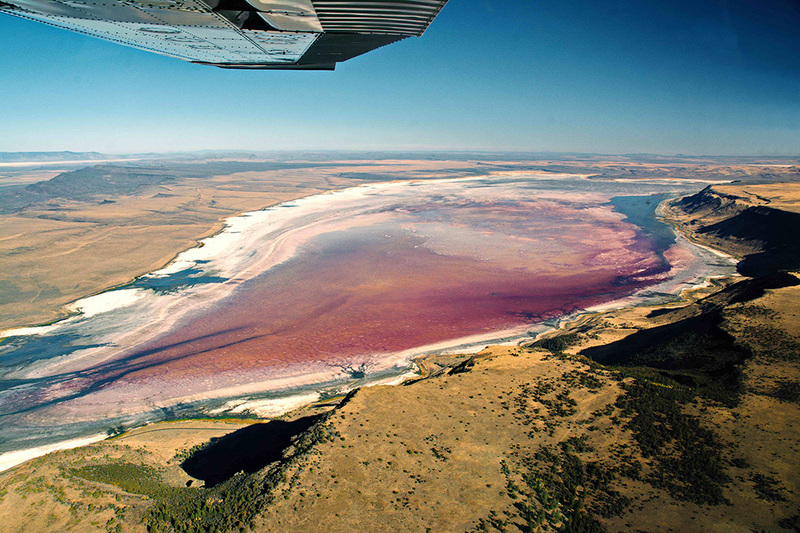 Lake Abert in eastern Oregon nearly dried up in 2014, causing brine shrimp populations to crash and a significant drop in visits from migratory birds. Read our story on Lake Abert to find out more. Mono Lake sits 40 feet lower with half the volume than it would have naturally. Its decline is a result of diversions on the lake’s freshwater tributary streams. Those diversions pipe water 350 miles south down an aqueduct to Los Angeles. But the situation at Mono Lake could’ve been much worse. Read our story on Mono Lake to find out more. 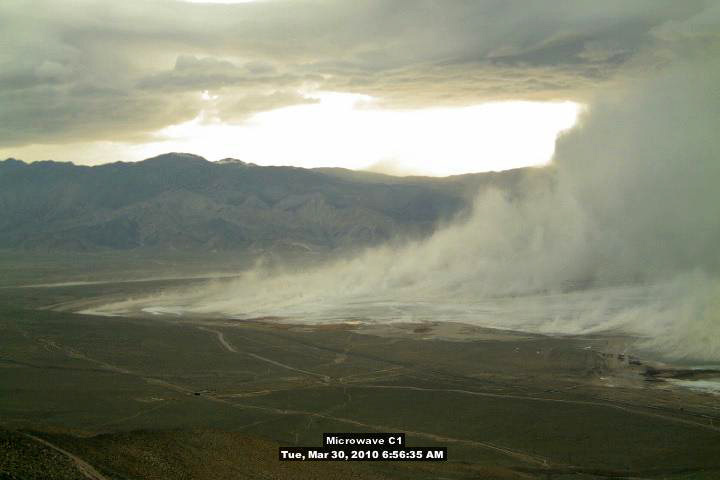 Dust billows off the dried bed of Owens Lake in Inyo County, California in March 2010. The lake dried after water diversion from the City of Los Angeles and became the largest source of PM 10 pollution in the United States. Read our story on Owens Lake to find out more. The decline of Utah’s largest lake, which has no outlet, would have rippling impacts on the area’s wildlife. But waters feeding the lake are important for the state’s agricultural industry, too. Explore our series "Losing the Great Salt Lake" to find out more. 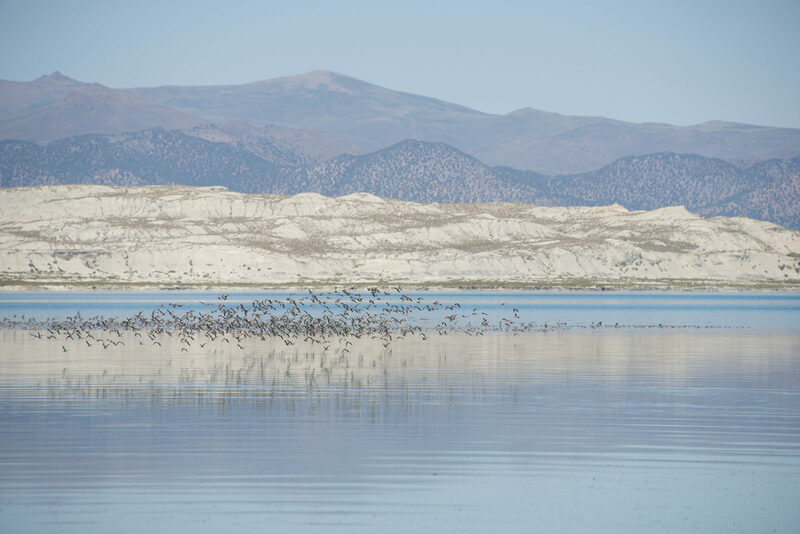 Like the Great Salt Lake, the Lahontan wetlands are recognized as a site of hemispheric importance for migrating waterfowl and shorebirds, supporting populations of American avocets, American white pelicans and white-faced ibis. 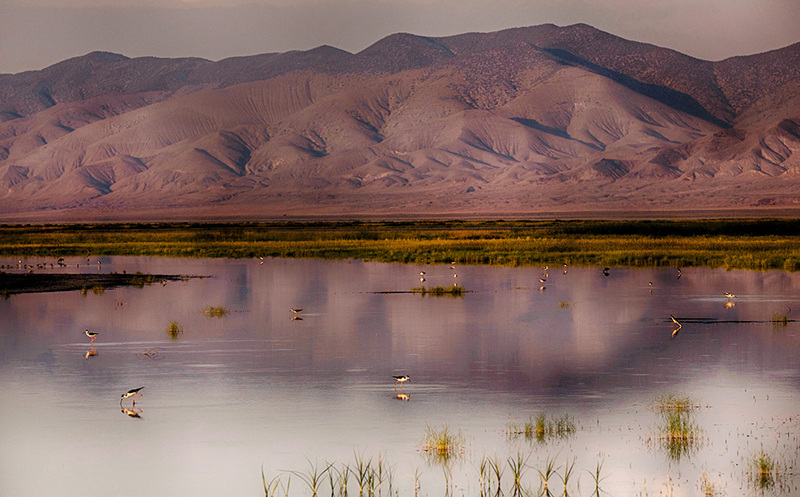 Read our story on the Lahontan Wetlands to find out more. Many water managers in Utah have argued that in order to meet the demands of a population that’s forecasted to double by 2050, the state needs to dam and divert the Bear River, the Great Salt Lake’s largest tributary. Another stark difference between Utah and Los Angeles that could be the key to future conservation is the cost of water. Los Angelinos pay between $7.58 and $12.91 per 1,000 gallons of water, depending on the time of year and monthly consumption habits. In Ogden, the most residents pay per 1,000 gallons is $3.46. With so many salty lakes in the West so much worse off than the Great Salt Lake, de Frietas said there’s still time for Utah to develop sustainable policy that’s good for its growing population and good for the lake.